Woodward Tahoe | Meghan Kelly Teles! In 2010, I met my sister in Colorado for some early season skiing and a SheJumps event at Woodward at Copper. The facility was literally my childhood dream come true. 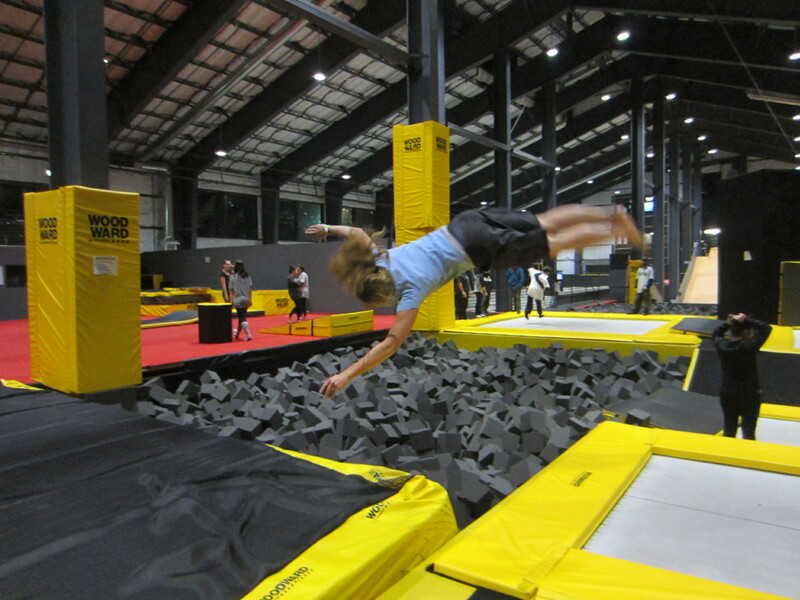 Indoor trampolines, foam pits, a skate park, and ramps with a fake snow surface to send it into foam pits. I asked the director that day if there were any plans to build one in Tahoe, secretly hoping I could convince them to build one in South Lake Tahoe and she casually mentioned a facility in the works at Boreal up on the North Shore. That facility was completed this summer and I immediately thought I should replicate the SheJumps Colorado annual fall Woodward Event. I got into touch with an energetic female coach there named Monica who works and attends school full time AND works weekends at Woodward Tahoe. She is truly dedicated to snowboarding and action sports. She was fired up enough about the idea to have a “Ladies Night” every Sunday and SheJumps could bring a crew out for the inaugural ski and snowboard session. 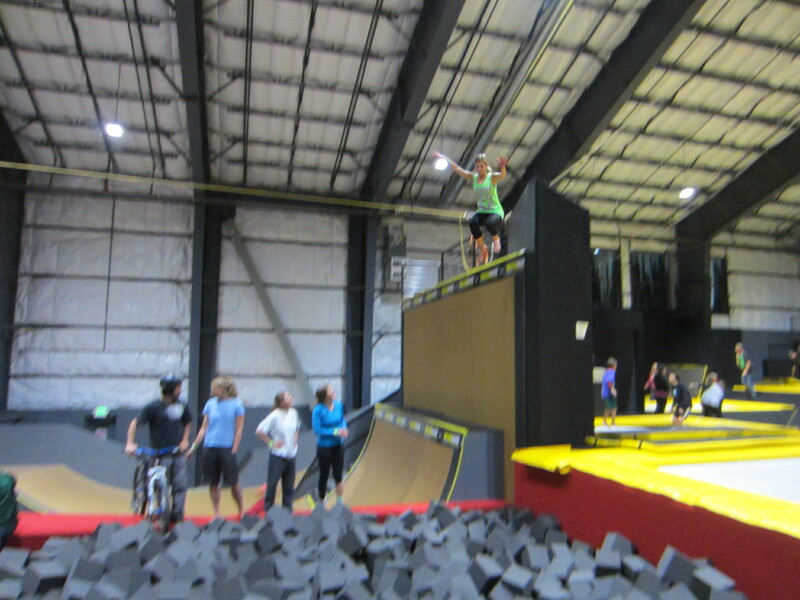 So, plans were set for November 11th and about 6 of us showed up for 3 hours of sessioning trampolines, park skis and boards, and just generally getting air in a safe environment. I was hooked. I returned the following Wednesday and purchased a season pass. Then I went back last Sunday and sessioned the jumps for the first time with my friend and Kirkwood freeride teammate Will. And this added a whole new level to Woodward’s awesomeness. I went into the first session pretty much terrified of the “park skis” which are roller skis used to hit the ramps in the new Tahoe facility, but the fear went away after the first drop in and I threw back flips, under flips, and flat spins. I think flat spin is my new favorite trick, though I need a few more days on the ramps to really dial it in. I threw my first one trying to throw a Lincoln Loop, so it was totally by accident. But that’s what is so great about throwing tricks into spongy foam pits, it’s a great way to learn how your body will react to different movements without thrashing it in the process. I can’t wait to go back and hit the biggest ramp. Double backs? More style? The opportunities are endless. If only I were 12 years old and this facility was in South Lake (investors, contact me, I have some ideas). Until then, I’ll visit this indoor paradise once a week, enjoying the fun and progressing as much as possible. Rachel overcoming her fear of heights and sending it from the Woodward cliff.